Nimrat Kaur’s First Look in and as THE TEST CASE. 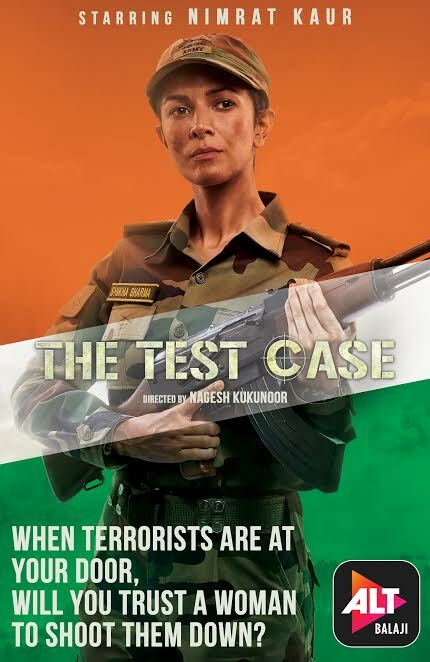 ALTBalaji’s first digital show, ‘The Test Case’ will see Nimrat Kaur prepping to be the Indian Army’s first woman test case in a combat role. The inspirational show featuring Nimrat Kaur, Juhi Chawla and Atul Kulkarni chronicles the lives of 8 officers who enter Special Forces training course and explores the themes of loyalty, team work and courage synonymous with the armed forces. The series also showcases the hardships and immense training that these brave young people willingly undergo in order to serve and protect their country.